The EU called an emergency eurozone summit next week after Greek debt talks ended Thursday without a deal, sparking warnings of an “accident” that could push Athens out of the euro if there is no breakthrough by the end of the month. Finance ministers meeting in Luxembourg failed to break the five-month-old standoff between the anti-austerity government in Athens and its EU-IMF creditors, who have demanded tough reforms. Greece has until the end of June to agree a reform deal in order to secure the remaining portion of an international bailout, which it needs to avoid defaulting on a €1.6-billion IMF debt payment. “It is still possible to find an agreement and extend the current programme before the end of the month, but the ball is clearly in the Greek court to seize that last opportunity,” a clearly discouraged Eurogroup chief Jeroen Dijssebloem told a news conference. Economic and Financial Affairs Commissioner Pierre Moscovici said that he had noticed a change of mood of the Greek team over the last two weeks, which has apparently become less constructive. He didn’t elaborate. 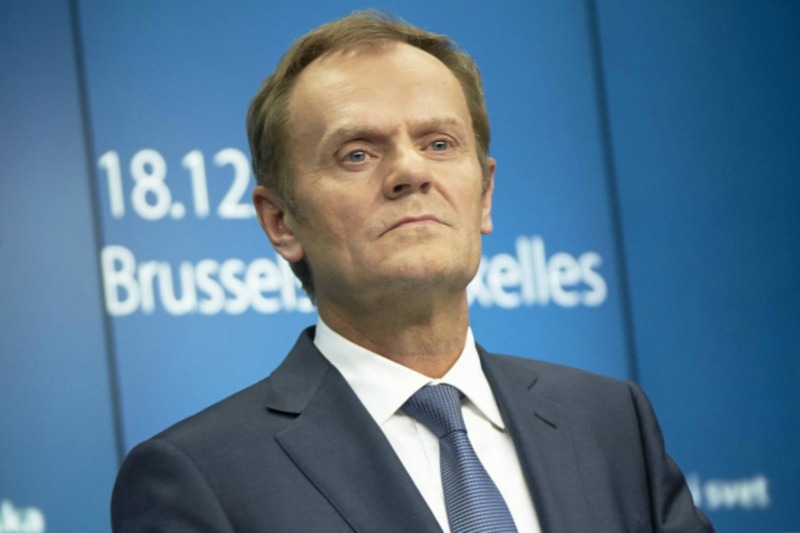 With time running out, EU President Donald Tusk quickly announced an emergency summit of the leaders of the 19 eurozone countries on Monday in Brussels, ahead of a full EU summit next Thursday. “It is time to urgently discuss the situation of Greece at the highest political level,” Tusk said. In Athens, 6,000 people gathered in front of parliament to call for Greece to stay in the euro, police said, although it was smaller than an anti-austerity protest in the capital on Wednesday. But Greek Finance Minister Yanis Varoufakis insisted that he had put fresh proposals on the table, even as he insisted Athens would not budge on its red lines of reforms to pensions and VAT. “We are dangerously close to a state of mind which accepts an accident. I told my colleagues not to accept such thinking,” the motorbike-riding former economist said when asked about the possibility of Greece leaving the euro. Varoufakis added that there had been “not a single comment” from his eurozone peers when he presented his new plans. Greek Prime Minister Alexis Tsipras was elected in January on a promise to end five years of austerity under two international bailouts since 2010, which Athens took to repay debts incurred by years of overspending including on hosting the 2004 Athens Olympics. The threat of a Greek default escalated dramatically when International Monetary Fund chief Christine Lagarde ruled out any extension of the 30 June deadline for Greece to pay its debts. “There will be no period of grace,” she said, confirming that Greece would officially be in default if it failed to cough up, leaving the country effectively unable to finance itself and without external funding. Tsipras this week accused the IMF of having “criminal responsibility” for Greece’s debt woes, and Lagarde took a thinly veiled swipe at the attitude of Athens officials in the talks. “For the moment we are short of a dialogue, the key emergency is to restore the dialogue with adults in the room,” Lagarde said. The crisis has caused global worries, with the US State Department calling for all parties to reach a solution. “We continue to emphasize the need for Greece and international partners to take urgent steps toward compromise,” spokesman John Kirby said. One source described the 90-minute Eurogroup talks to AFP as “tragic”, saying that Greece had not even raised the issue of a possible bailout extension. Creditors have refused to pay the remaining €7.2 billion of the bailout if there is no reform deal, and the cash will be lost forever if there is no deal for an extension. The ball now passes to the eurozone leaders at Monday’s summit, especially Germany’s Angela Merkel and France’s François Hollande, who have held a series of special meetings with Tsipras but to no avail. Merkel painted a more positive picture earlier Thursday, telling the Bundestag she was “still confident” that a deal was possible. Concerns are however mounting about Greece’s ability to ride out the next few days, with the central bank warned for the first time Wednesday that the country could suffer a “painful” exit from the single currency area – and even the European Union – if it fails to reach a deal. Greece owes another €6.7 billion to the European Central Bank in July and August and there have been reports of planning for possible capital controls if Greece’s financial system runs dry. In a move that seemed calculated to irk other European leaders amid tensions with Russia over Ukraine, Tsipras visited Saint Petersburg yesterday as the star guest at President Vladimir Putin’s investment drive forum. Thousands of Greek citizens participated in a demonstration in Athens on Thursday, under the heading “We remain in Europe”, aimed at sending a clear pro-EU message to the Syriza-led government. Attendance exceeded the expectations of its organizers, something that prompted the reaction of Dimitris Papadimoulis, a leading Syriza MEP. “Today’s demonstration in Syntagma [central square in Athens] is against the government and not pro-European, as its organizers claim,” he tweeted. According to the Financial Times, if no agreement is struck by 30 June, eurozone officials believe such a state of affairs would lead to so much anger towards Tsipras domestically that his government would fall. This could mean either new elections or — more likely — a national unity government, like the one that existed under Lucas Papademos in early 2012, to clean up the mess. On 20 March, the European Commission offered Greece funds to deal with what it called a humanitarian crisis, after Prime Minister Alexis Tsipras vowed to clarify bailout reform pledges demanded by creditors. Following crisis talks between Tsipras and European leaders, EU Commission chief Jean-Claude Juncker said he was making available €2.0 billion in unused EU structural funds to Greece. Germany's rejection of an initial Greek request for a six-month loan extension forced Athens into a string of politically sensitive concessions, postponing or backing away from campaign promises to reverse austerity, scrap the bailout and end cooperation with the Troika of EU, ECB and IMF inspectors, which are now called "the institutions". 30 June: Expiration of current bailout and deadline for Greece to make loan repayment. Trokia wants to cuts income to 49% of Greek households. By the way – very dissapointing web site – with the comments tucked away at the bottom of each article. Calling this an “accident” is a huge understatement. It is a trainwreck. The Geek economy has not been set up to survive. It was set up for the purpose of political favors for the pollies of the day, and to hell with the consequences. They have made their money, and have left. Now it’s time for the Greeks to pay or to leave. Either one will do. There is no cure for stupidity. No Gerry !! This “trainwreck” can survive without no problems. Or hasn’t Detroit survived and is still one of the 50 States ! Alexander Hamilton and 12 other Statesmen signed the unity in one day ! Some are so stupid to understand that by leaving Greece the Eurozone will remain intact ! Yeasterdey there was a huge demonstration from the people of Greece in Athen with a strong will to remain in the Eurozone ! But do E.U. Governements care on them or are they acting cowardly ! Greece’s problem is;they never had a real government.Every party makes promises just to get into the pot of money.One example;in 1995 the then PM Samaras raided the banks and stole 130 million dollars just for internal political reasons,a change of name from “Northern Greece”to Macedonia.Rest of the story I believe you are aware.A German news paper said it right”Samaras is like a fly in the ointment “.Todays government are trying to change the past,I don’t know if it is possible.Tsipras should be given a chance to correct the course former PM have taken and spending the money like drunken sailors. If you have not visited the country,you should,see the misery people go through each day,I visited the country two years ago,I have seen it.